Penthouses A and B at Azure on the Upper East Side received makeovers by award-winning interior designers James Rixner and Bjorn Bjornsson in collaboration with GCT Marketing. The goal was to deliver their buyers a turnkey property. 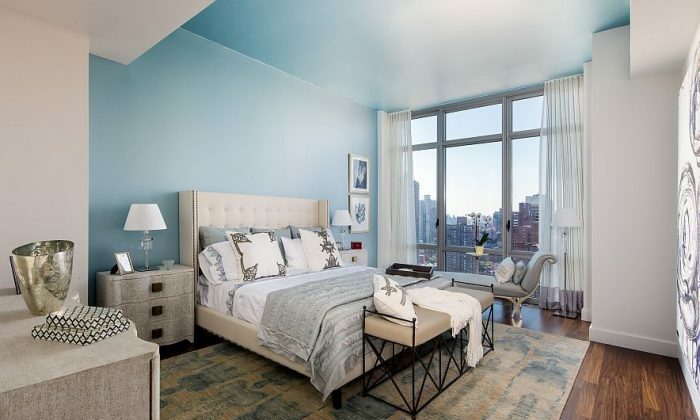 Azure, co-developed by The DeMatteis Organization and the Mattone Group, is 34 floors on East 91st Street and First Avenue. The two penthouses have never been sold, and were originally put on the market as separate units. Last year, the units were listed together, with an asking price of $13 million, and now they’re available as separate units again. Penthouse B is 2,688 square feet with four bedrooms, 3.5 baths, and a 291-square-foot terrace. Designer Bjornsson drew inspiration from the views of the George Washington Bridge, Yankee Stadium, East River, and RFK Bridge to furnish the interiors. “We were eager to work with this team since they understand our vision and what today’s buyer is looking for. What’s more: both designers are offering turnkey interior design solutions,” stated John Caiazzo, vice president of real estate development for The DeMatteis Organizations. Azure is currently 80 percent sold, with the remaining properties all in the Tower Residences on floors 21-34.